Every once in a while a book comes along that not only makes you think, but challenges you in ways you were not expecting. This would be one of those books. 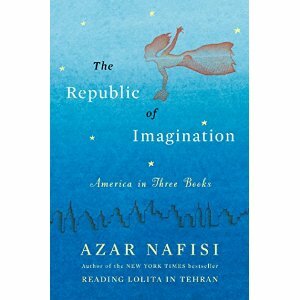 Azar Nafisi has the unique advantage of viewing this country and its attitude toward art and literature from the outside. Originally from Iran, she has become an American citizen (in her words because she found herself grumbling about America so she knew she was an American). But it is her heritage that gives her a different understanding of the meaning of fiction and how this country views it. Using four writers, which she had narrowed from a list of twenty-four, Nafisi shows us how fiction is not only necessary but vital to the health of this nation. She makes the point that imagination, defined as free thinking, is nurtured by fiction and without it a society will suffer and stagnate. Beginning with Mark Twain, then Sinclair Lewis, followed by Carson McCullers, and ending with James Baldwin, Nafisi reinforces the idea that literature is as important to one’s education as science and technology. Nafisi knows what it means to live in a country where imagination is stifled, books are banned, and people are imprisoned or killed for simply seeking an education. This book challenges all of us to make sure literature and art do not disappear and to actively promote both in our schools and in our communities. Her ideas can be summed into one question she asks in the book. “Why do tyrants understand the dangers of a democratic imagination more than our policy makers appreciate its necessity?” While I agree with almost all of what she says, the only negative aspect to the book is that she injects her opinions with a heavy hand. Having said that, I also admire her passion which brings the book to life. What I was not expecting, was my reaction to her vast knowledge of literature. I am an avid reader but as Nafisi referred to author after author to make her point, most of whom I have not read, I questioned just what have I been reading. My reading time has been spent with King, Koontz, Child, Kellerman, and Connelly to name a few, but little if nothing of Baldwin, Lewis, Fitzgerald, Hemingway or Tocqueville. This book has inspired me to get back to reading literature, not just fiction. I am not giving up on the others, they are too much fun to read, but I am expanding what I read. This is a must read, and gets a solid four star review.